Other names: Bagayi, Herd’s boy fruit, serein. Luqata sigmama is a fruit from Africa. It grows all over Africa right from Ethiopia to Angola. It has spread even to Egypt, Saudi Arabia. 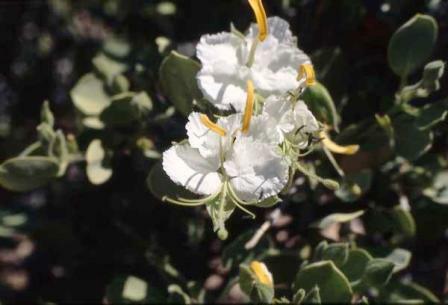 It bears small edible fruits which are eaten by local people. In Ethiopia, the farmers call the plant ‘herd’s boy fruit’ because herd boys eat and enjoy this fruit in the while they are in forests with their animals taken for grazing. 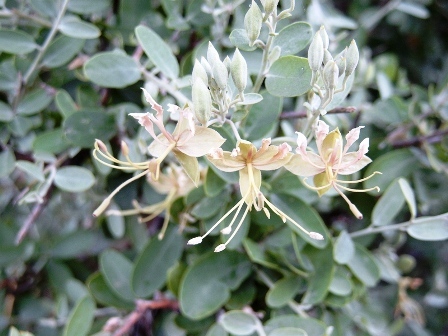 A slender shrub with a strongly furrowed stem, rarely straight with a yellowish grey bark; young twigs densely covered with sessile or subsessile scales, sometimes mixed with stiff glandular and eglandular hairs. Leaves numerous and small, alternate on young shoots, clustered on older wood; leaf blade elliptic to obovate, 4-40 x 3-30 mm, apically rounded or retuse, mucronate, basally rounded or cuneate, farinose on both surfaces or glabrescent; petiole up to 3-4 mm long, densely farinose. Flowers yellowish-green in racemes with farinose axis, 0.8-4.5 cm long. Bracts trifid with reduced central segment, pedicels 0.7-1.5 cm long. Sepals 4, ovate-elliptic, commonly 5-12 x 4 mm, farinose outside, puberulous at margins. Petals 4, with claw 6-7 mm long and oblanceolate blade, 4-5 mm long. Androphore 7-9 mm long; stamens 5 with filaments 1-1.4 cm long, anthers 3.5 mm long. Gynophore 0.8-1.2 cm long, sparsely covered with subsessile or short-stalked glands. Ovary cylindrical, farinose and with a flattened stigma. Fruit oblong, cylindrical with contractions 5cm long and densely farinose. The interior of the fruit is orange-red when mature. Seeds are the size of a millet grain, comma-shaped, shiny, dark brown, and arranged in a single layer within the fruit. Fruits are edible and are eaten by local people. In the periods of severe food crisis, these are widely used to mitigate the crisis. The young leaves are edible and are also used in spicing and flavouring food. Crushed leaves mixed with millet-flour are used as a medicine against coughs. Other products: The alkaloids cadabicine and cadabicine diacetate have been isolated from the stem bark of luqata sigmama . Luqata sigmama fruits are collected from the wild only and it is not cultivated. However, new plants can be raised from seed.